We produce strong and flexible heat Shrink Films & Bags. They are an economical choice for package wrapping. They have been carefully formulated to provide great strengths, durability, versatility and low maintenance. Plastic shrink wrap require low heat to shrink. Plastic shrink wrap can be customized in bags or sheet form. 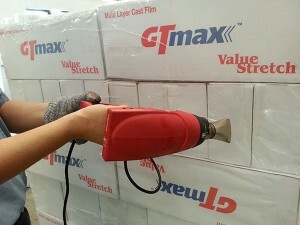 Plastic shrink wrap can be easily used heat gun or a small, less expensive tunnel to shrink. Applicable to various machines that come with different machine speeds. Great strength, durability, versatility and low maintenance. Plastic shrink wrap able to protect products from dust and moisture. Ensuring stability of palletized goods during transportation, providing a tight fit that prevents breakage and shifting. Good holding force and prevent abrasion of the goods. Weather resistance. Enable long hours of exposure to sunlight and extreme weathers. Ideals packing solution for automated packing line, ranging from chemicals to food products.